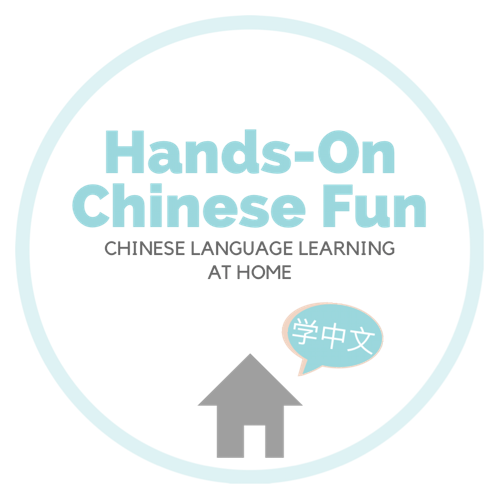 English Reading: Road to Fluency – Hands-On Chinese Fun! One of my friends asked me the other day what my son is reading now (in English) because she wanted some ideas for her kids. This made me think that I should document the books Little Man read from when he was a beginning reader until now, as a reference for parents teaching their kids to read in English. Background: I taught him English phonics between the ages of 1.5-3 years old, then taught him to read at 3 years 2 months old using the reading curriculum The Reading Lesson: Teach Your Child to Read in 20 Easy Lessons. It took us four months to complete it, by the end of which he could read at about first grade level. From 3.5 y.o. on, we practiced reading increasingly longer and harder books (see our reading list below) and it took him approximately 12 months to become a fluent reader. What I mean by fluent is he can read without thinking/hesitating and can read books by himself that he’s never read before. Around 4.5 y.o., he could read a few chapter books Magic Tree House and Boxcar Children but he did not really enjoy those. He then fell madly in love with Captain Underpants (and Super Diaper Baby and Dog Man by the same author), which skyrocketed his reading ability to around 3rd grade level. Now at 5 y.o., he desperately wants to read “grown up” books like Harry Potter, which he has tried three times (unsuccessfully) to read. He is able to read the words but cannot comprehend the complex plot and flashbacks because he is after all only 5 years old. But, I am happy to report that he has now found a happy middle of reading books that are appropriate for his age and ability. I am absolutely thrilled that he has taken to reading non-fiction lately, which he has never shown interest before. Back to what this post is about. Here’s a list of books that he read from 3.5-now. I don’t keep track of all the books he read, but these ones stuck out in my memory as being significant. FYI just borrow the beginning readers (BL 0.7-1.7) from the library. Libraries have hundreds of beginning readers and they are not worth buying IMO because 1) the stories are dumb, and 2) they get outgrown quicker than you can blink. ATOS Book Level are shown in parenthesis, e.g. 0.7 level means can be read by a typical kindergartner in the 7th month of school, 1.2 means 1st grade 2nd month. I find ATOS levels to be inflated and always mentally take a year or two off. For example, Magic Tree House is listed as a 2.6 but most kids I know read it around K-1st grade. To find the ATOS book level (BL) of any given book, go to this website and search the title. As you can see, “One Fish Two Fish” is listed as BL 1.7. Some publishers (e.g. Usborne) provide Lexile measures instead of ATOS. They can be converted using the chart here, e.g. Lexile of 440 corresponds to ATOS 3;0. There is no point in pushing too high of a reading level. This is because books that are of higher reading levels are often of inappropriate content for young children. It appears to me that 3rd grade reading level is where he will stay for a while and it will not get any higher than that because he cannot comprehend even though he can read it. On the other hand, I caution you about waiting too long to teach your child to read because early readers have really dumb storylines like “A wig on a pig”, “The cat in the hat”, etc. An older child will find it extremely frustrating when they want to read more interesting books but their ability only allows them to read baby books. (Little Man currently has this problem in Chinese which he is very frustrated by). I’ve always tried to get him interested in non-fiction but failed. A few weeks ago, he suddenly picked non-fiction and now loves to tell me facts that he learned from books. JOY OH JOY!! Goes to show sometimes you just have to be patient and wait for time and development to take its course. The most important factor is to hook your child by finding books he/she absolutely loves. Looking back, he made huge jumps in reading ability when he encountered certain series that were highly motivating, like Lego DC comic books (jumped from 1st to 2nd grade) and Captain Underpants (jumped from 2nd to 3rd grade). Because of the huge selection of English books available (sadly not so for Chinese), you can easily find books of your child’s interests at different reading levels. E.g. He loves DC superheroes and I found K, 1st, 2nd grade level superhero books by searching on Amazon. He slowly became able to read everything around him like signs, recipes, instructions etc., a process that took around 12 months and I don’t think can be rushed. And this is in his first language English! I wonder how long Chinese fluency will take. He is now independent in English reading (except for the occasional word) and I only read to him in Chinese. He keeps wanting to read “grown up” books I keep assuring him it’s ok to read picture books. We’ve found a compromise with Usborne story collections which he likes because they are thick and “grown up looking” and I like because he can comprehend the stories. Joke books, poetry collections, comics are also a good fit for him now. I have an ongoing struggle with getting him to read more. He is not a natural bookworm like some kids are, and rarely picks up books on his own. We have mandatory reading time in the morning and evening, and he recently made up his own rule that he gets evening screen time if he reads 100 pages that day. I have no problem with this! Anyway, I hope this is a helpful starting point for you. The key to English reading is simply to 1) teach your child to read (phonics) and then 2) keep reading longer and harder books until you achieve fluency. I’d like to think that Chinese will be a similar process but the problem with Chinese is no book levels so I have to make my own guesstimates for book levels. This is the current pain in my neck!!!! Pingback: 四五快读 Si Wu Kuai Du: How We Use It – Hands-On Chinese Fun! Pingback: When and How To Teach Pinyin – Hands-On Chinese Fun! Pingback: Parent Guide to Teaching English Phonics – Hands-On Chinese Fun!